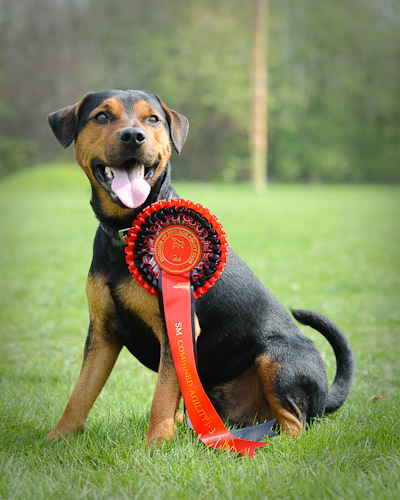 Adventure Art will be attending the Fair City Dog Training Club Agility Show at Scone Palace on the 9th of May – Saturday only – to photograph the agility competition. I won’t be able to cover more than one ring at a time, so if you are not in that ring and would like a shot of your dog competing, please let me know when and where you will be on. Similarly if you have any special requests e.g. your dog in the weaves or contact equipment rather than jumping, please ask and I’ll see what I can do. I’ll also be taking some portraits between and after classes, so if you would like a portrait shot of your dog (with or without rosettes!) please come and speak to me to arrange a suitable time. Portraits at events are taken on the same basis as all other event photos – you have no obligation to buy, just purchase the shots you like from the website as normal. If you would like to arrange a private portrait shoot on another day for your dogs (and you can combine with some friends if you wish), again please come over for a chat or drop me an email. You are currently browsing the Adventure Art Event Photography blog archives for May, 2009.